HAPPY FRIDAY!! One thing I learned in many ways this past week is that Padres fans are GOOD fans. I mean, you gotta give them credit - even when they lose, they kinda win just because of where they are geographically. Their twitter presence is a hoot and their physical presence is even better. Anyway! Grab your coffee, relax, forget about your real world responsibilities for a minute or two and enjoy a round of "Spot the Differences"! 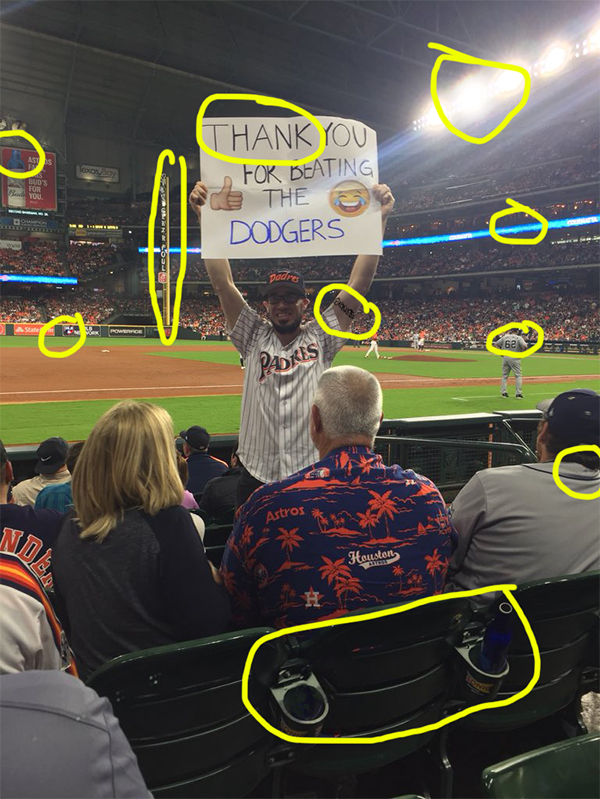 This week's game photo was taken by Astros Twitter's Tyler (@713TM) .